Your browser version is no longer supported by Ugandan Academy for Health Innovation and Impact! To be able to use Ugandan Academy for Health Innovation and Impact and all its features, you must use a recent browser. 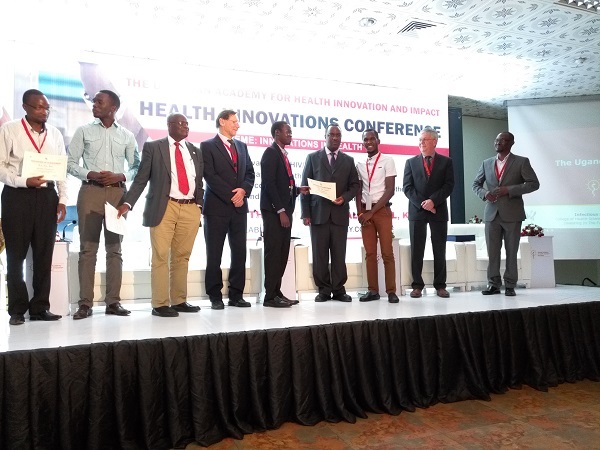 The theme for the Health Innovations Conference is Sustainable health for all: Harnessing the Fourth Industrial Revolution (4IR). The abstracts will be reviewed by a panel of experts and best selected for oral or poster presentation. Each abstract should include a title, author names and affiliation. The abstract text should not exceed 300 words with font 11 and 1.5 spacing. Abstracts may include a table or figure. Previously presented or published abstracts should not be submitted. Background-reason(s) why study was done. Objectives-expected outcomes of the study. Methods–a description of how the study was done. Conclusions and Recommendations of the study. Problem addressed by the abstract. Description of the intervention, project, experience, service and/or advocacy. Lessons learned from the project. All submitted abstracts will be reviewed by a committee and notification of the outcome (successful or unsuccessful) sent to the corresponding author. The abstract track category is the general heading under which the abstract will be reviewed and if accepted, published. Choose the category which best describes the subject of your abstract. If your abstract is accepted it shall appear in the abstract book, and/or the conference and Academy website.